When you’ve been up all night with a sick child, washing bedclothes and mopping up the mess in the bathroom, think heaven. When someone you trusted turns on you, think heaven. When there never seems to be enough money to cover all the bills, think heaven. Satan would like to beat you down and keep you looking down. Satan delusionally thinks he is a winner and you are a loser. Actually, the reverse is true. Your faith in Christ bonds you to him, and you can now identify with and participate in all of Christ’s triumphs. “Since you have been raised with Christ, set your hearts on things above, where Christ is seated at the right hand of God. For you died, and your life is now hidden with Christ in God. When Christ, who is your life, appears, then you also will appear with him in glory” (Colossians 3:1,3,4). On the outside you may not look like a prince or princess of the royal court of heaven, but the angels see you that way. Your name is written in the royal guest register. Your room is waiting for your check-in date. Though your true identity may seem hidden now, at just the right time the Lord Jesus will reveal all his family members. Everyone will know your heavenly identity. He will shine in heavenly glory. You will too. Being a Christian and excelling at your job aren’t two separate things. In fact, the way you speak, act, and treat others at work is actually a way of worshiping God. We want to help you live with Christian integrity in every area of your life by sending you our 30-day devotional Good for Business. These inspiring nuggets of truth from God’s Word will encourage and equip you to live with integrity in your day-to-day routine. You’ll learn how a life lived well can show Jesus to others—and speak volumes about the Savior you represent. 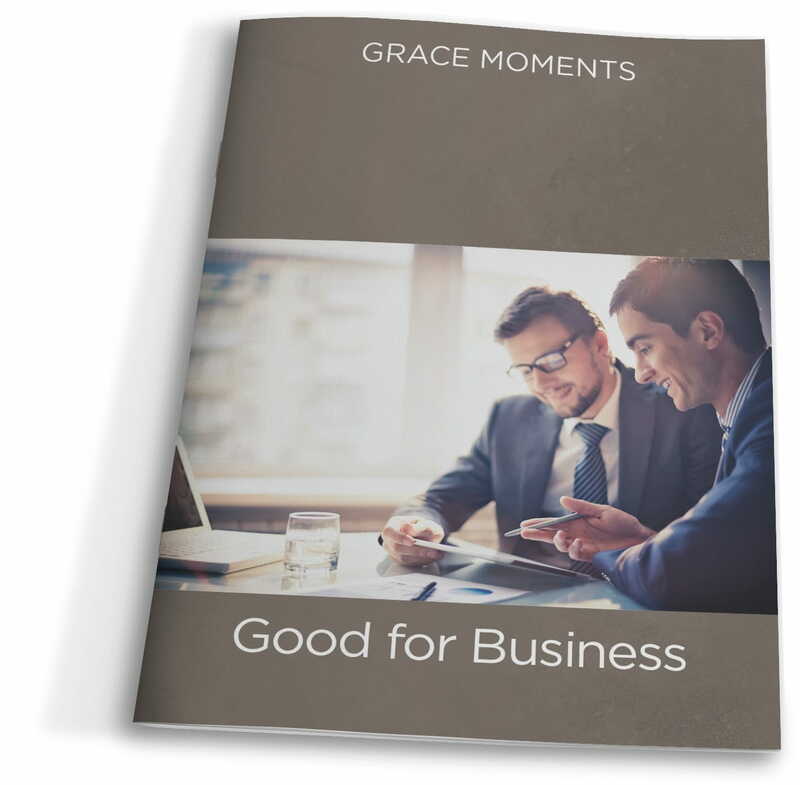 Good for Business is our thank-you for your donation to help bring the timeless truths of God’s Word to more people all over the world. Request your copy today!